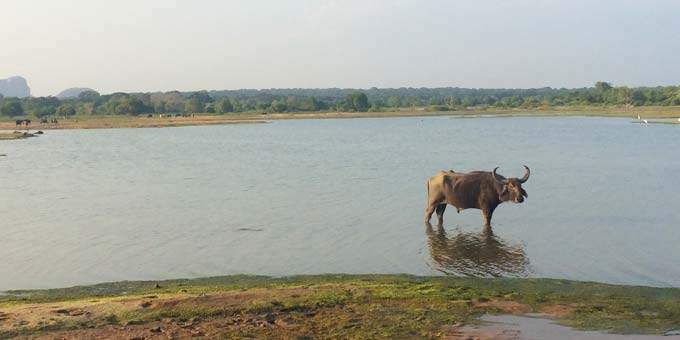 We can highly recommend a Sri Lanka golf holiday to those who want to have an exotic golfing adventure with superb golf courses, stunning scenery and fantastic safaris – this country really has it all. 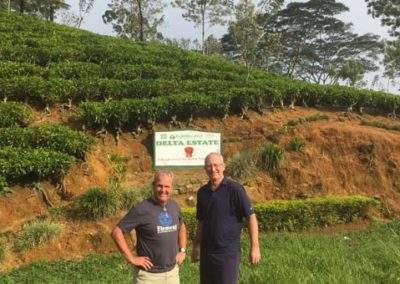 Mark & Jacques enjoyed their own Sri Lanka golf holiday which you can read all about and are excited to share their experience and send golfers for their own spectacular Sri Lanka golf holiday. 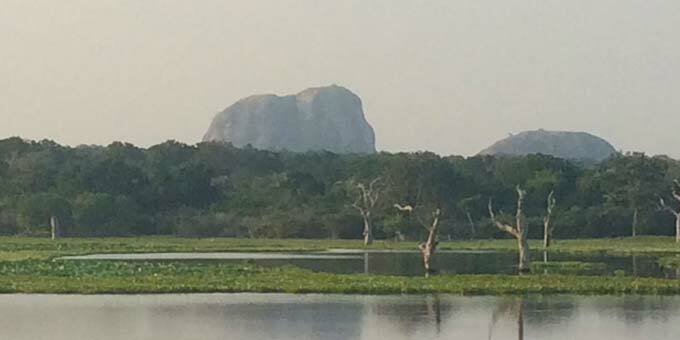 Read Mark & Jacques golf trip report of Sri Lanka. 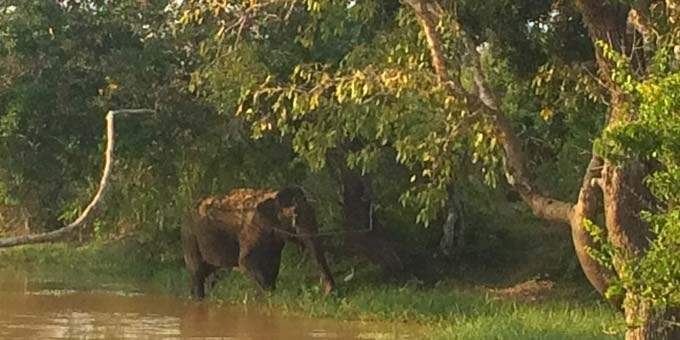 A Sri Lanka golf holiday can include playing the quirky Royal Colombo Golf Course in the capital city, the stunning Victoria Golf Course in the scenic hills near Kandy, the historic Nuwara Eliya Golf Course right up in the tea estate covered mountains and at the new beachside Shangri-La Golf Club in Hambantota in the south. 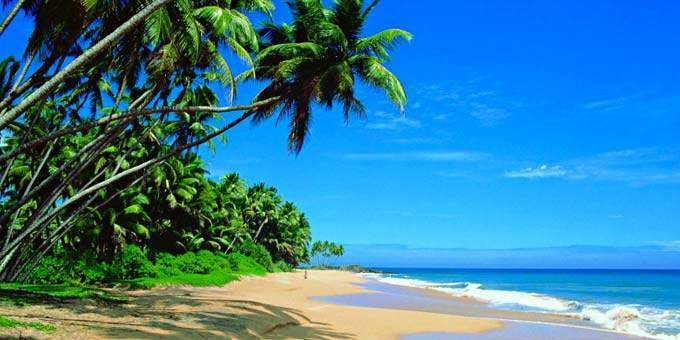 A golf holiday in Sri Lanka is an adventure on a paradise Indian Ocean island with a history dating back to the birth of time. 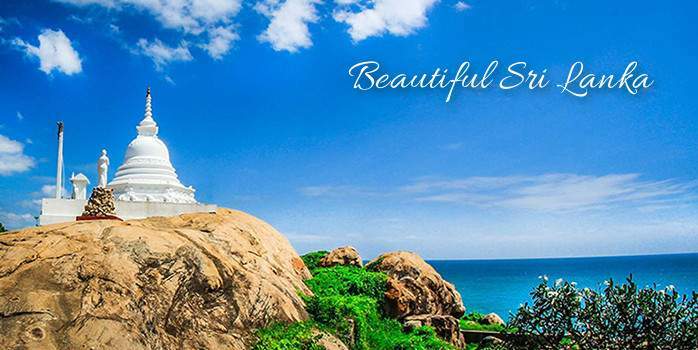 It is a place where the original soul of Buddhism still flourishes and where nature’s beauty remains abundant and unspoilt. 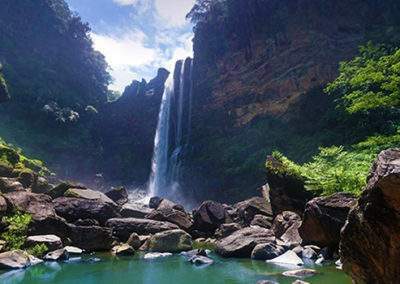 Few places in the world can offer golfing holidays with such a remarkable combination of stunning landscapes, pristine beaches, captivating cultural heritage and unique experiences within such a compact location. 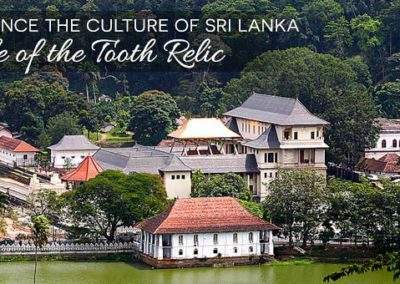 With 8 UNESCO World Heritage Sites, 800 miles of coastline – much of it pristine beach, 15 national parks showcasing an abundance of wildlife, lush tea estates, botanical gardens, 350 waterfalls and a culture that extends back to over 2,500 years. Golf in Sri Lanka dates back a lot earlier than most people would imagine, the first course was opened in 1880! 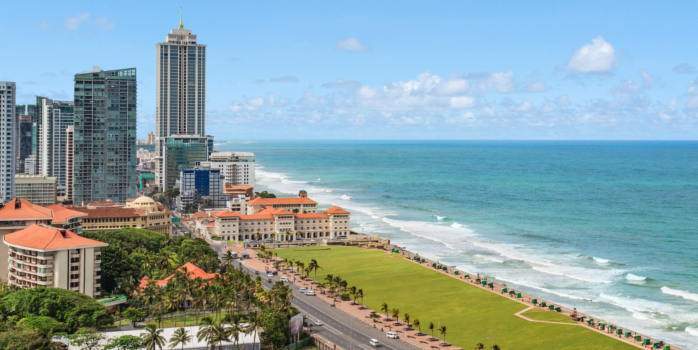 The courses are spread around this fascinating country and as such we recommend that a golf trip to Sri Lanka tailor made to suit your individual requirements and we’d love to assist you with planning yours. 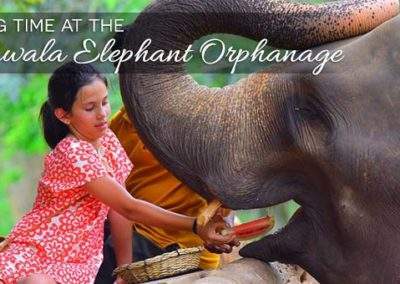 Please find a pdf detailing the regions of Sri Lanka here. 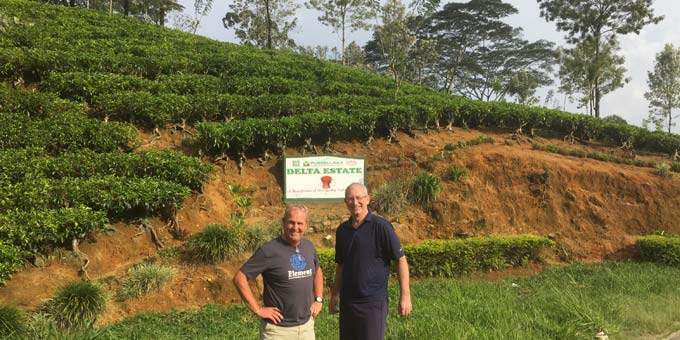 If you’d like to read about Mark and Jacques golfing tour of Sri Lanka click here. 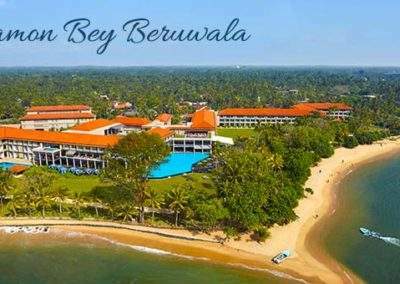 Royal Colombo opened in 1879 and is the second oldest ‘royal’ golf course in the world outside of the UK. 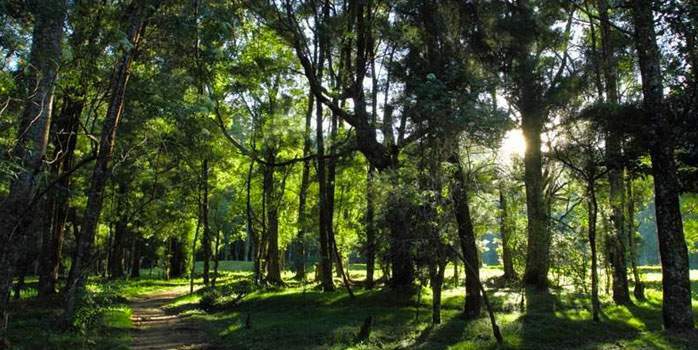 It is a well-maintained 18-hole golf course that is course is generally flat and with large trees lining the fairways has old well established feel. At 6,560 yards, this par 71 course is not long but is pretty tricky. 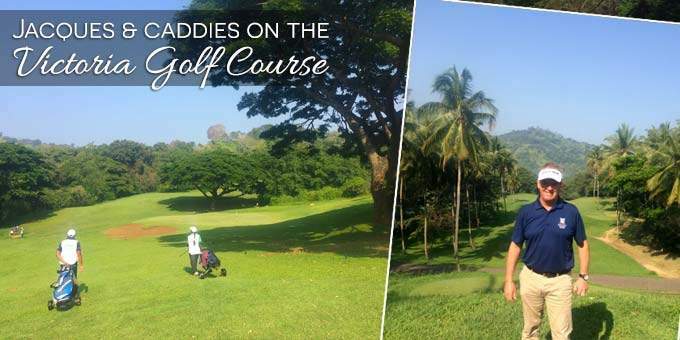 We played with two members, Priath Fernanado, the President of the Sri Lanka Golf Union and Rinal Pieris, both could not have made the round more enjoyable or informative as they shared their knowledge about the course and the history of golf in Sri Lanka. Enjoying their company plus the wonderful colonial clubhouse and the, at times quirky, course made for a super morning. It’s not often you wait for a train full of commuters to pass the tee box before you continue with your game! 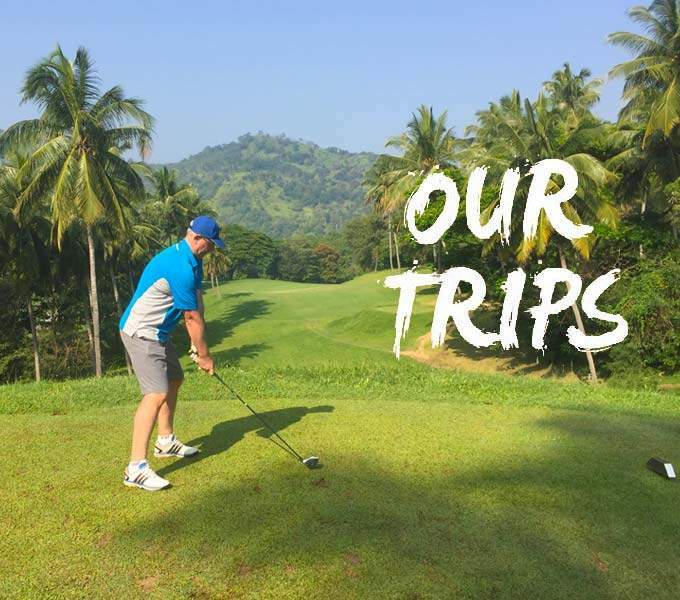 One hour’s drive east of Kandy in the heart of Sri Lanka, surrounded by majestic mountains, glistening waters and tall tropical trees this beauty is rated by Golf Digest USA as one of the 100 most scenic golf courses in the world! As you drive in to Victoria Golf Club you pass a par-5 with the narrowest fairway imaginable but fortunately the rest of the course is much more forgiving and thoroughly enjoyable. This stunning course with its amazing views, huge trees and clever layout is in Marks top 10 courses he’s ever played. As a cricket fan he was delighted to have finally played it after hearing Ian Botham raving about it during a cricket commentary many years ago. It is understandable that he never fails to play here when cricket tours bring him to Sri Lanka. 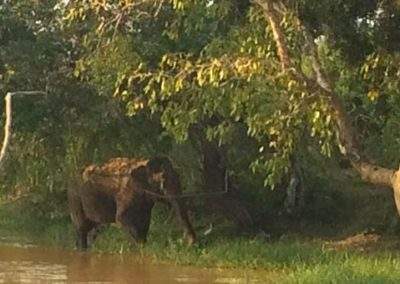 On one occasion, he wrote in the visitor’s book; “try to stop me playing at Victoria.” We fully understand why and know any future trip to Sri Lanka will involve at least one round at Victoria! When we played we had two great caddies, the most happy go lucky people you have ever met and we really enjoyed their knowledge of the course and their company. Whilst aesthetically pleasing is a challenging par 73 championship course. Designed in 1997 by British golf architects Donald Steel it is guaranteed to provide you with an unforgettable golf experience. Built and maintained to USGA standard, the course is 6,933 yards long and meanders through tree-lined fairways on a peninsula overlooking the Victoria reservoir and dam. The 6th hole is the most memorable with its tee set high above the fairway commanding spectacular views and is the toughest par 4 in Sri Lanka! The course has three of the holes over 500 yards long and believe us when we say it’s well worth the journey into the mountains to play this amazing course! Situated at 2,000 metres above sea level in ‘Little England’. Established in 1889 this old well established 6,100 yard, par 70 course has narrow fairways and heavy rough in between trees and bushes make it a challenge if you spray the ball around! 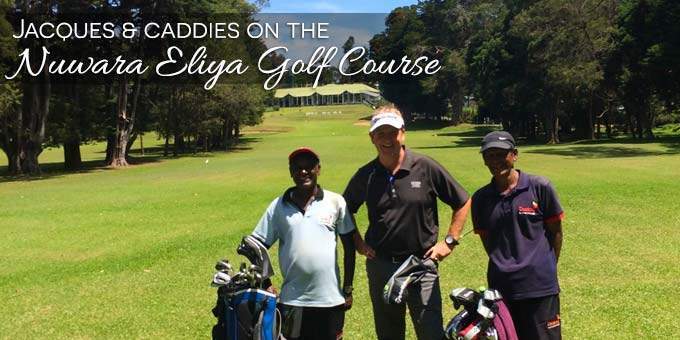 When we visited we didn’t have particularly high expectations of Nuwara Eliya golf course but were delighted to arrive at a lovely old clubhouse and a well-maintained course. Being such an old course it was no surprise to find that the trees lining the fairways were all very mature. It’s definitely a quirky course which has been moulded to fit its location in the centre of the town, it has a few crossing fairways and one of the tee boxes is across a narrow laneway next to the course. One tee box is virtually in the high street so as you are teeing off, the local shoppers are watching from behind a fence just a few yards away! We came off the course very pleased with having played a well-designed, clever layout with some superb holes and all in a stunning region high in the more temperate mountains. 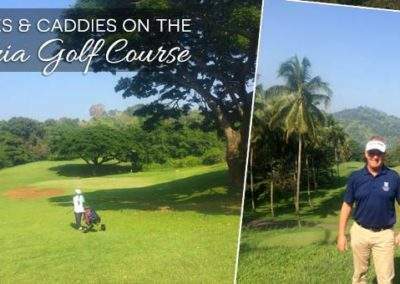 The Shangri-La Golf and Country Club is Sri Lanka’s newest course which opened in 2016 and when we played it apart from a few holes where they are replacing the fairways, was excellent. 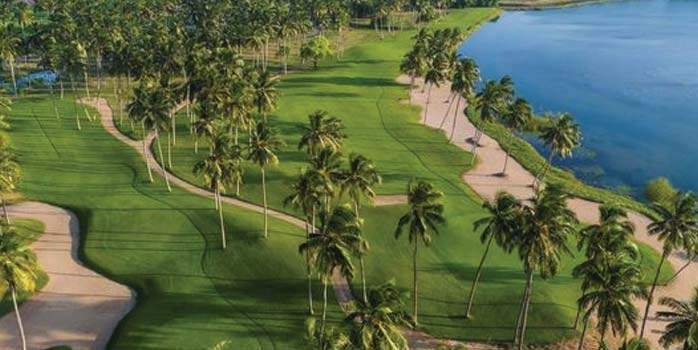 This par 70 course is set in a vast coconut palm plantation that surrounds the luxurious resort and has a lot of water and long grass along many of the fairways making driving key to a successful round. The greens were particularly good and overall the course is only going to get better and better as it matures. 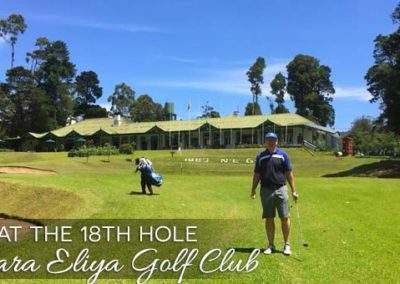 The Nuwara Eliya golf course was constructed in 1889 by a Scottish soldier of the Gordon Highlanders for the British servicemen and officials who were posted at Nuwara Eliya. 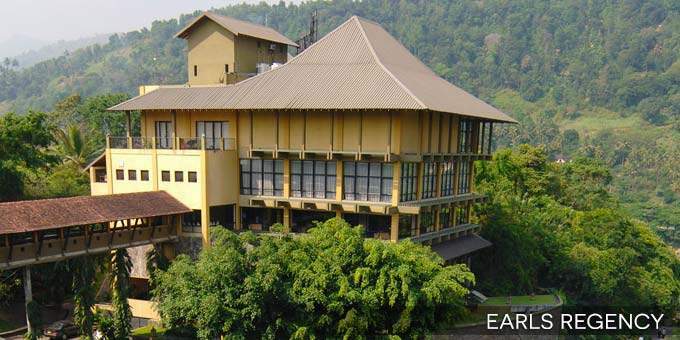 The course covers approximately 40.5 hectares (100 acres) of land and was originally built amidst the tea plantations of this central highland region. 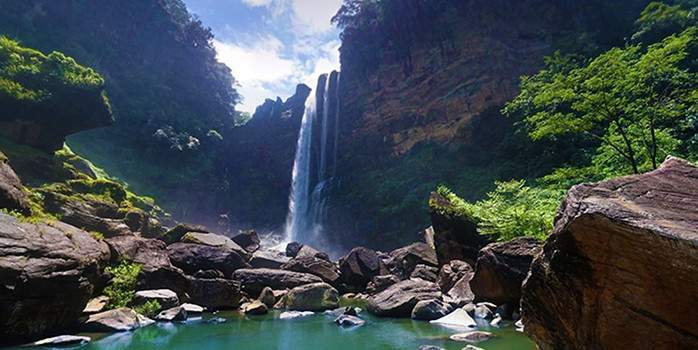 The course is located at an altitude of 1,830 meters (6,000 ft) above sea level. It is an 18 hole, 5,550 m (6,070 yd), Par 70 layout – the scorecard is in meters, however the distance from the yardage markers to the edge of the green are measured in yards. 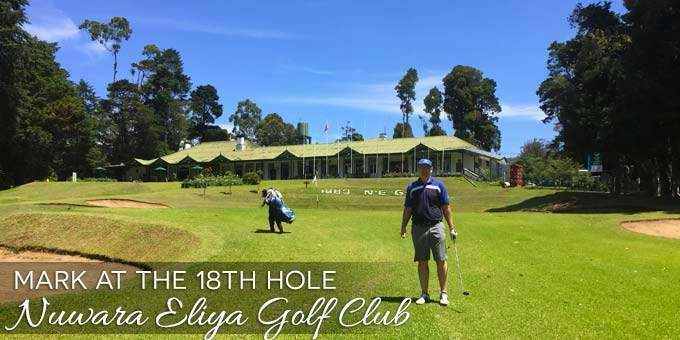 Situated at 2,000 metres above sea level in ‘Little England’, Nuwara Eliya golf course has narrow fairways and heavy rough in between trees and bushes making it a challenge if you spray the ball around! 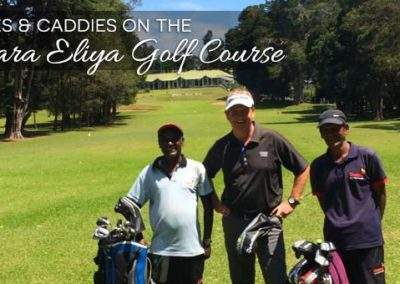 When we visited we didn’t have particularly high expectations of Nuwara Eliya golf course but were delighted to arrive at a lovely old clubhouse and a well-maintained course. Being such an old course it was no surprise to find that the trees lining the fairways were all very mature. It’s definitely a quirky course which has been moulded to fit its location in the centre of the town, it has a few crossing fairways and one of the tee boxes is across a narrow laneway next to the course. One tee box is virtually in the high street so as you are teeing off, the local shoppers are watching from behind a fence just a few yards away! We came off the course very pleased with having played a well-designed, clever layout with some superb holes and all in a stunning region high in the more temperate mountains. 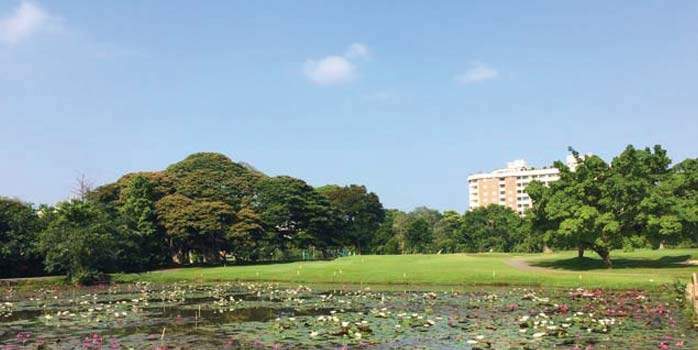 Royal Colombo opened in 1879 and is the second oldest ‘royal’ golf course in the world outside of the UK. 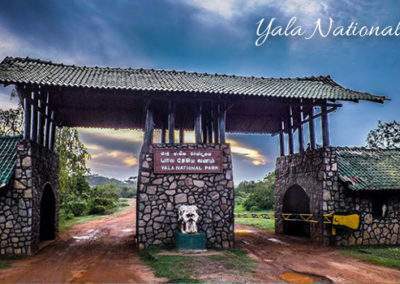 It is a well-maintained 18-hole golf course that is generally flat and with large trees lining the fairways the course has old well established feel. At 6,560 yards, this par 71 course is not long but is pretty tricky. 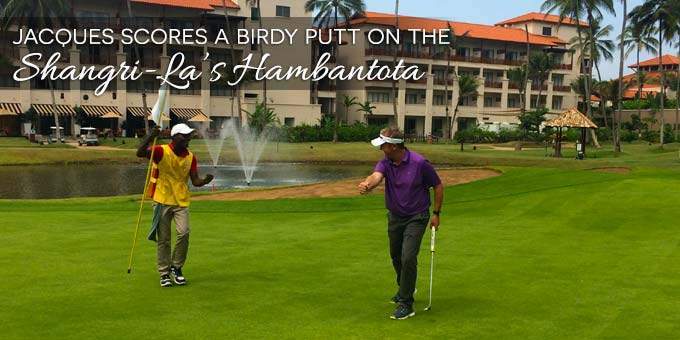 We played with two members, Priath Fernanado, the President of the Sri Lanka Golf Union and Rinal Pieris, both could not have made the round more enjoyable or informative as they shared their knowledge about the course and the history of golf in Sri Lanka. Enjoying their company plus the wonderful colonial clubhouse and the, at times quirky, course made for a super morning. It’s not often you wait for a train full of commuters to pass the tee box before you continue with your game! 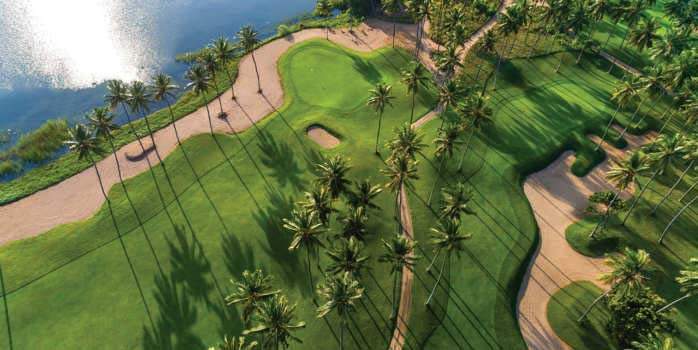 Sri Lanka’s first and only golf resort is set amid a vast coconut palm plantation, offering spectacular views and unique challenges for both casual and seasoned players. 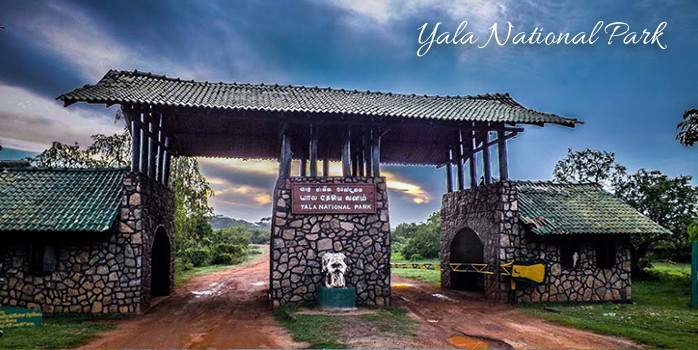 The abundance of nature and wildlife, framed by lakes and the beautiful Indian Ocean, sets the scene for a most incredible golfing experience. Mark – the course only opened in June 2016 and apart from a few holes where they are replacing the fairways, was excellent. 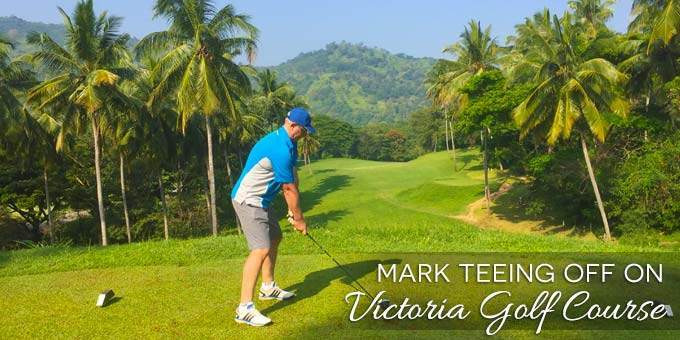 The Victoria International Golf and Country Club, popularly known as the Victoria Golf Club located 40 minutes from the royal city of Kandy- the ancient and historic hill capital. 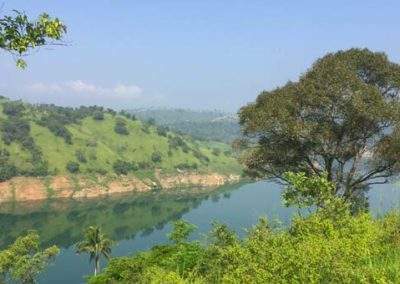 It is nestled within the Kandyan mountain range, an area of breathtaking scenic beauty surrounded by the Victoria Reservoir. 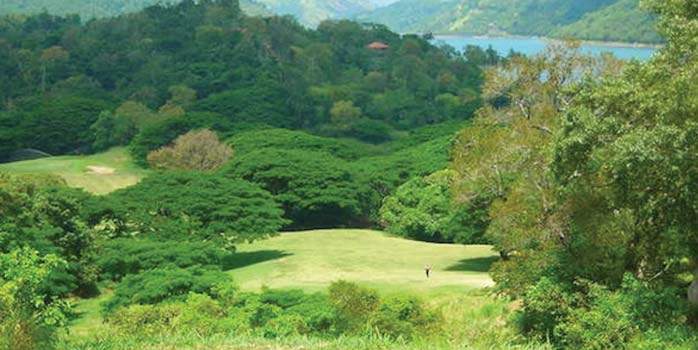 This 517 acre 6877m (par 73) course is one of the latest in Sri Lanka and was designed by the famous British Golf Architects – Donald Steel and Company. 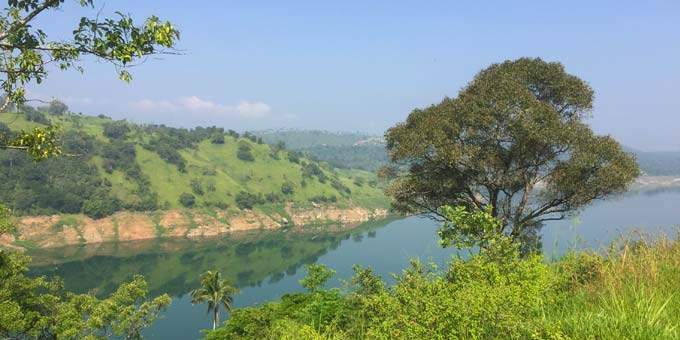 The course layout has taken full advantage of the terrain incorporating the undulating hillside, planted coconut and majestic Jak forests, together with the spectacular vistas of the surrounding mountain and reservoir to form one of the most picturesque courses in Sri Lanka and the Asian Sub-continent. 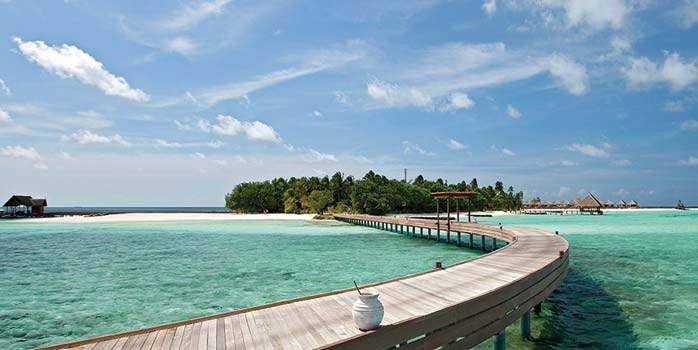 This area with a moderate temperature of around 20 -30 degrees C offer the best playing conditions. 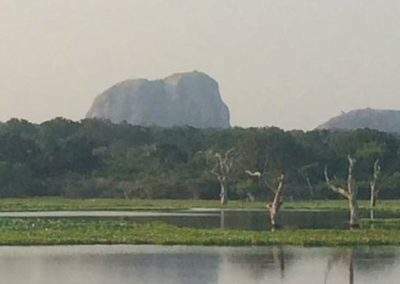 This quiet location allows the golfer to become absolutely absorbed in his game, whilst if he takes a short break, he is liable to spot one of over several species of birds ; the White-bellied Sea Eagle, the Egret, the Red-wattled Lapwing, the Indian Roller ; along with the Deer, Mongoose, Fishing cat, and other wild life commonly found in the region. The facilities include a charming clubhouse with full changing and showering facilities; it has a bar and restaurant providing light meals and all beverages ; there is a Pro shop catering to all the golfers needs. There is a large practice putting green and driving range for the golfers to warm up. 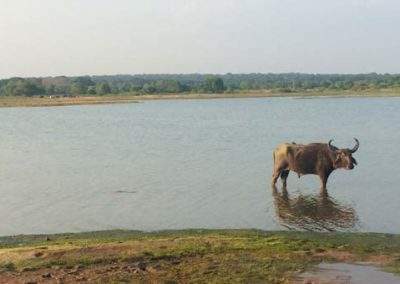 For the non-golfer there are plenty of activities to choose from a swimming pool, a horse riding school, mountain bikes, bird watching, a dip in the reservoir for a swim; or a quiet stroll along the meandering pathways in the cool of the early evening. Jacques – This course was set between the hills and valleys and the views with the Victoria reservoir in the distance was amazing. We had two great caddies and trust me when I say that these are the most happy go lucky people you have ever met and we really enjoyed their knowledge of the course and company. 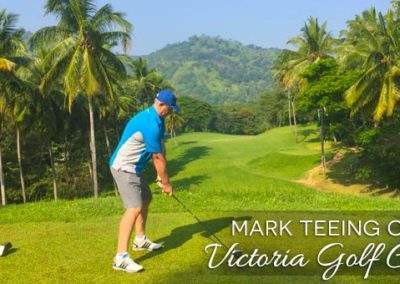 Mark – As you drive in to Victoria Golf Club you pass a par-5 with the narrowest fairway I have ever seen – my accuracy has always been a problem so my heart was in my mouth as we prepared to tee off. Fortunately the rest of the course was much more forgiving and thoroughly enjoyable, and I played some of my best golf in a long time. This stunning course with its amazing views, huge trees and clever layout is in my top 10 courses and I’m delighted to have finally played it after hearing Ian Botham raving about it during a cricket commentary many years ago. I understand that he never fails to play here when cricket tours bring him to Sri Lanka. On one occasion, he wrote in the visitor’s book; “try to stop me playing at Victoria.” I can fully understand why and know my next trip to Sri Lanka will involve at least one round at Victoria! 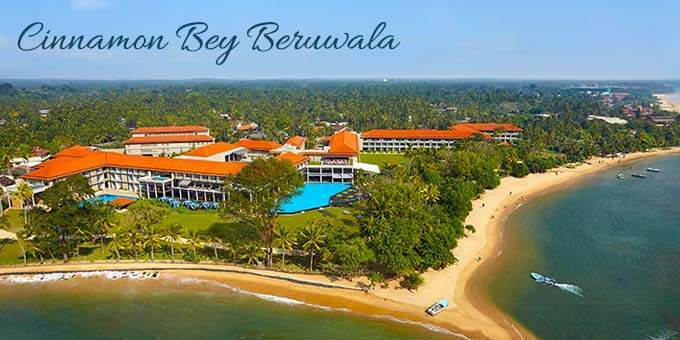 Play at the first and only resort golf course in Sri Lanka, for a memorable golfing experience with spectacular views of the Indian Ocean on a Sri Lankan golf holiday. 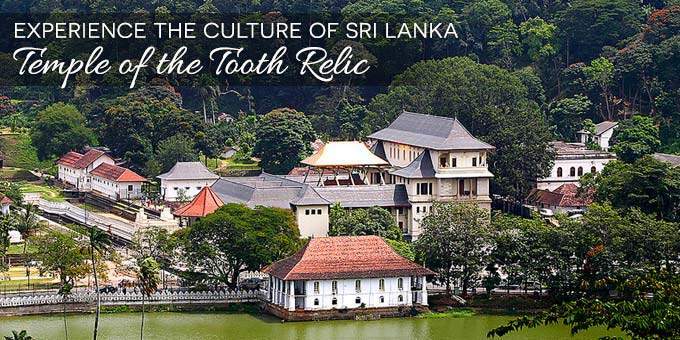 Shangri-La Hotel, Colombo, Sri Lanka is delighted to welcome you to the enchanting capital of Sri Lanka – a precious jewel in the Indian Ocean, with a glittering cultural heritage and a long, proud history. 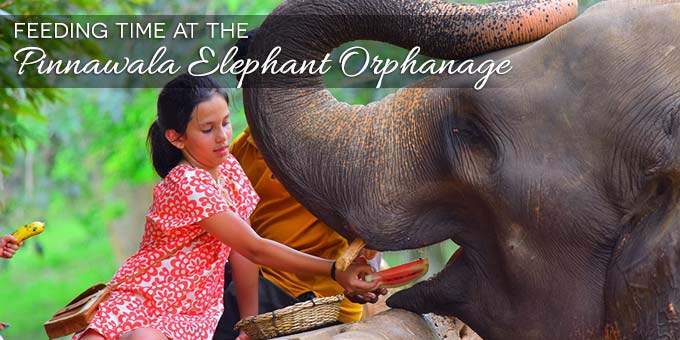 Experience the Sri Lanka culture and exotic golf in this golf holiday tour. 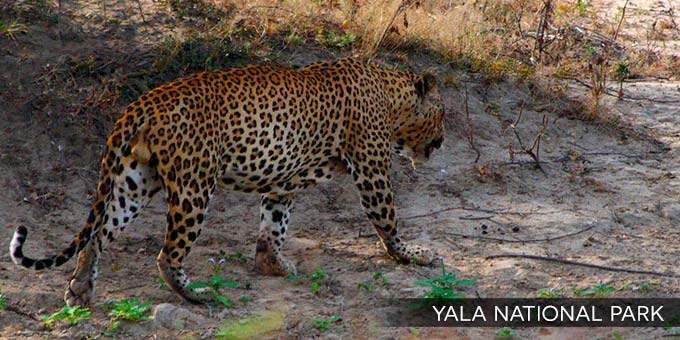 Experience not only the Sri Lanka culture and exotic golf but also an incredible safari in this golf holiday tour.